Joe Keithley of the celebrated punk band D.O.A. has made numerous attempts to break into politics over the years, and now it's finally paid off. Yesterday (October 20), the singer also known as Joey Shithead got elected to Burnaby city council. As of press time, the results are still unofficial, and they're extremely close. Burnaby — located just outside of Vancouver — has eight city council seats, and Keithley came in eighth place with 15,745 votes. That's just 215 ahead of the first runner-up, Baljinder K. Narang. All polls have reported, so it seems likely that the count will stand. UPDATE (10/21, 5 p.m. EDT): The results are now official, and Keithley has indeed been elected to Burnaby city council. 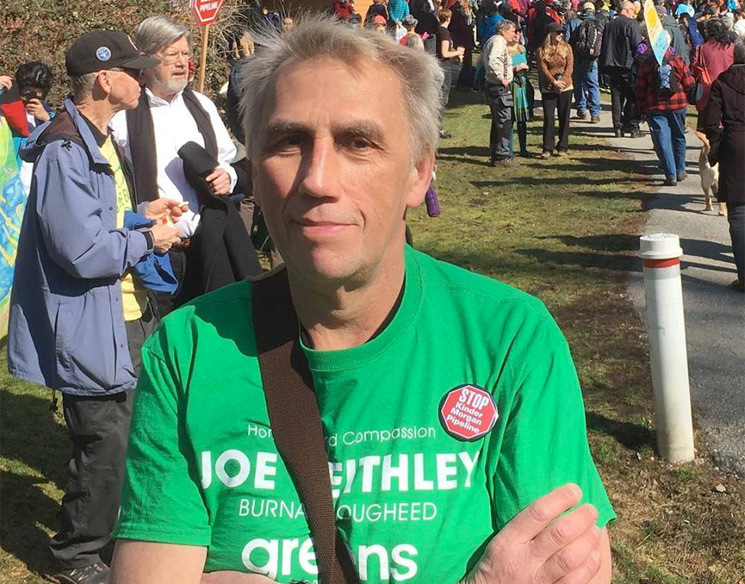 Keithley is representing the Green Party, which is especially significant because he has broken the Burnaby Citizens Association's monopoly on the city council. Hopefully this means the word "Shithead" will start getting tossed around in Burnaby politics. His past political campaigns over the years have included running with the Green Party in provincial elections in 1996 and 2001. He also sought NDP nomination in the 2013 provincial election, before returning to the Green Party for an unsuccessful by-election run in 2015, followed by another run in 2017. Earlier this year, he announced plans to run for mayor.